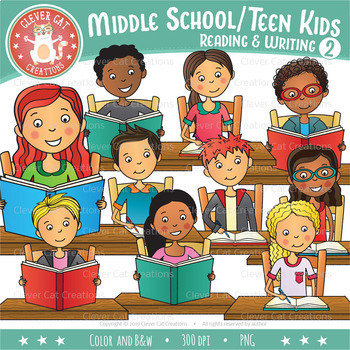 Middle school / teen clip art of cute multi-ethnic children reading and writing. These clips will work for a range of subjects and can be used all year! 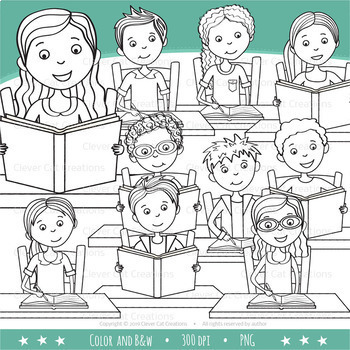 This set contains 20 high-resolution (300 DPI) PNG graphics, 10 color and 10 black and white, all shown in the preview. This is a zip file. Before purchasing, please check that you have software to open zip files.